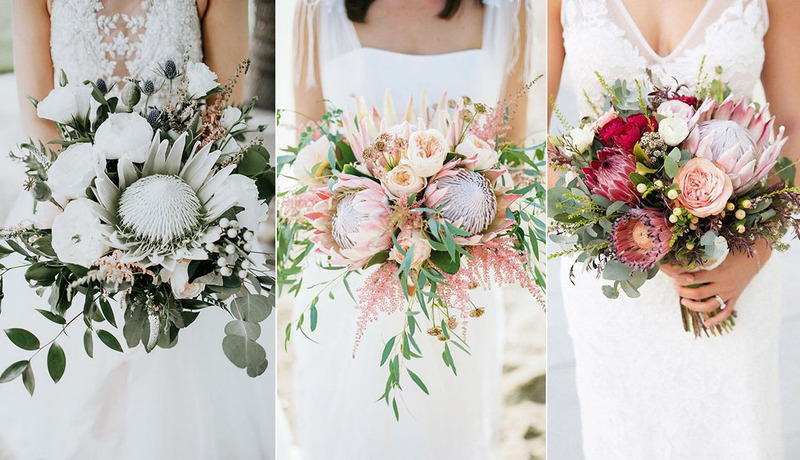 King protea is a unique statement bloom, which is extremely popular now – not only for tropical weddings but also for rustic, boho, woodland and many other styles. Proteas are more often used for summer or tropical wedding bouquets but I assure you – they look wow in fall wedding bouquets, too. Today’s roundup is sure to inspire you to rock some of such blooms in your wedding bouquet because these examples are fantastic!